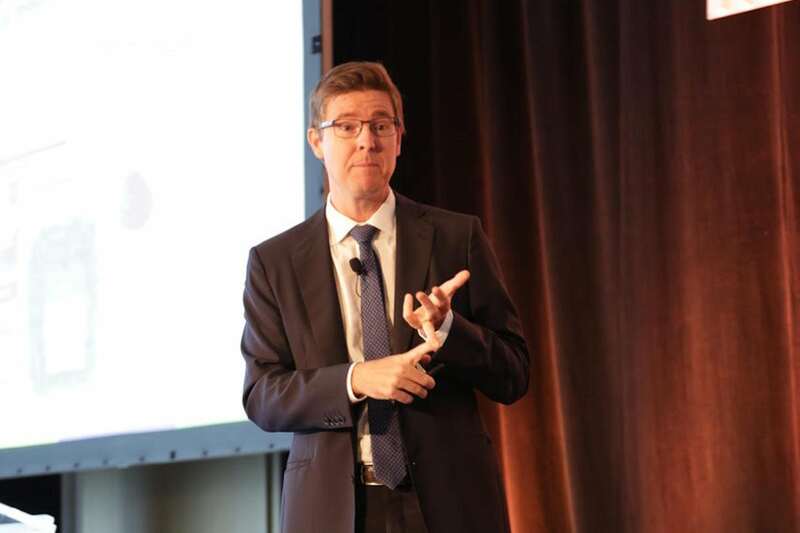 Loblaw CEO Galen G. Weston, delivering a keynote speech on the final day of the Arrell Food Summit, promises the room that his company is thinking of the future of food in decades, not quarters. Pacing the stage, clicking through slides, the head of Canada’s largest food retailer outlines the two major trends he is watching are food as technology and food as lifestyle. Noticeable shifts in the grocery landscape include consumer food budgets shifting from necessity to discretionary and a steady decline in beef production, while the vegan food market has risen to about $1.2 billion. Baby boomers and Millennials represent 70 percent of consumers in North America. The common characteristic between these two cohorts is the notion of food as lifestyle, says Weston, listing as example the rise of organics, “artisanal and authentic experiences,” gluten free and lactose free, paleo, keto and other immersive diets. As for where Canada’s largest food retailer is headed, Loblaw plans more options for online shopping as well as a retail version of the delivery meal kits that have grown in popularity, but one that is tied to data from your weekly shopping patterns. More relevant to national interests, Weston promises to cut thee company’s food waste (which he says is 6 to 7 percent) in half by 2025, an increased partnership with Canadian agricultural producers and decrease of imports (by $150 million) and a 30 percent reduction of carbon emissions (by 2030) from their trucking fleet.